If you've been following along with my blog or instagram for awhile now, you've probably noticed my entire pregnancy theme for Miss Poppy has been floral. It began with picking up a few simple pieces when I found out we were having another little girl, and over the past several months has grown to be my go-to style for both her clothing and nursery decor. I've been collecting all things floral for my own little flower and today's gorgeous Spotlight pieces are no exception! 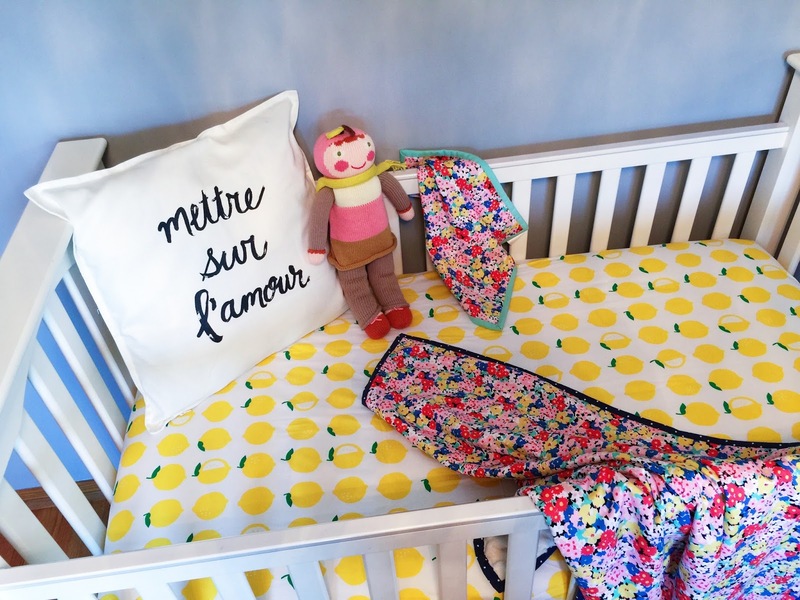 Today I'm so excited to be featuring Red Bunny Designs -- the sweetest handmade shop run by a mother and daughter-in-law duo, that sells beautifully crafted bibs, burp cloths, lovies, throw blankets, quilts and more. From the craftsmanship to the materials used and every tiny detail in between (including hand written tags to Olivia and Penelope), I fell in love with their products and know you will too. "There is nothing like giving (or receiving!) a handmade gift. Over the years, we have been making quilts, burp cloths and other handmade baby gifts for our own family and friends, and some of the most precious gifts we have ever received have either been handmade or so thoughtfully picked out with our own taste and style in mind. In the age of Amazon and gift registries, (no judgement, we still do both!!) we will always love the idea of adding your own personal touch. From our finger painted Mother's Day gifts to our children's heirloom crib quilts, they all hold a special place in our hearts." "Red Bunny has been one of those ideas that Bev and I (Darcie) had been sharing ideas about for the longest time...talking about what products we'd love to make, how we'd set up a shop and all of those fun creative ideas that always seemed like just that...ideas. Once the name Red Bunny came to us, the shop sort of created itself and there was no turning back!" "As a mother (Bev)/daughter-in-law (Darcie) team, it made sense that our shop name comes from one of our greatest sources of inspiration, my four year old daughter, Emma. Her playfulness and creativity is endless and her love for her sweet stuffed red bunny is what childhood should be all about! When the "original" red bunny was lost on a family vacation and had since been discontinued, (of course!) the idea to name our shop after her beloved stuffed animal seemed like the perfect tribute." "Our Red Bunny products are designed with the same playfulness and creativity in mind. We love pops of color, mixing patterns and bright and playful prints. Our signature item, the Red Bunny Signature Crib Quilt, was designed with a classic stripe pattern, soft and simple quilting and playful prints that can grow with children and passed on to grandchildren. We are a small shop and each of our products are handcrafted by US with the same love and care that goes into the gifts we create for our own friends and family! Our lovies, throws and burp cloth sets are so fun to make, especially when we get to create custom sets to match a certain style or theme. But designing a quilt that will be loved for years to come is the real reason Red Bunny exists and is our favorite gift to create!" Bev and Darcie completely brought to life my vision for burp cloths and a matching lovie for Miss Penelope. 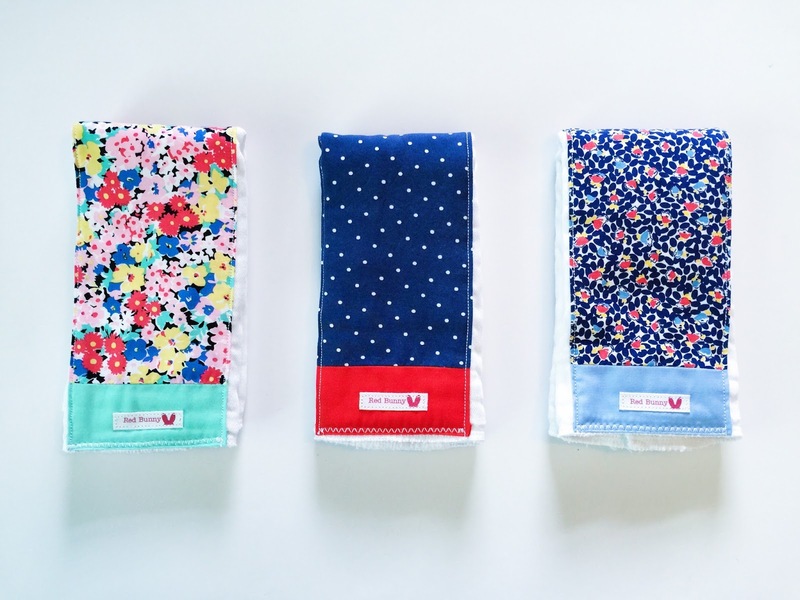 I love that the burp cloths are such high quality and so absorbent but still so stylish. Just feeling them I can already tell they are going to be my go-to burp cloths for every type of mess! And their lovies? Ohhh, I just love them. They are the perfect size for little hands and easy to pack in my diaper bag or purse. From birth, Olivia never took a pacifier (even though I probably had 10 on hand incase she wanted one) but has always loved her little security blankets and still sleeps with one today. All of the Red Bunny Designs' lovies and blankets are made from 100% cotton and the coziest designer minky; the binding though is what really struck me -- it's hand-sewn, heirloom quality. Excluding traditional quilts, I don't think Olivia has a single throw blanket that is hand-bound like these are. And very few lovies I've ever come across are bound in the same way. It's like a mini quilt for your sweet little babe. Bev and Darcie were so sweet to send along a cuddle throw for Miss Olivia as a "big sister" gift, and she loves using it on her new big girl bed. I love that it matches her baby sister's lovie and burp cloths. Everything arrived in the prettiest little packages, complete with hand-written tags with the girls' names on them and the most thoughtful handwritten card to me. Bev and Darcie don't miss a single detail from start to finish, both in their packaging and their products. Those very small details that are still considered say so much about a shop! I've been so delighted with Red Bunny Designs and am honored to be featuring them this week. If you'd like to pick up a few pieces for yourself or for a Mama-to-be (their burp cloth sets or designer lovies would make the perfect functional and modern gift), be sure to use an exclusive discount below. And in honor of Miss Poppy arriving in just a few weeks, you can enter to win any lovie of your choice on my instagram @blessednestblog AND earn extra entries in the Rafflectoper below! giveaway || For extra entries in this week's giveaway, simply complete the steps below in the Rafflectoper. Be sure to enter on my instagram as well for your entries to be valid. Just find the original post and follow the instructions beneath it. This giveaway runs from Wednesday, July 15 through Tuesday, July 21. All entries will be verified and the winner is responsible for contacting A Blessed Nest within 24 hours of being announced. I love all the florals! We're expectig our rainbow baby girl in October (after 3 boys in 3 years!!!) 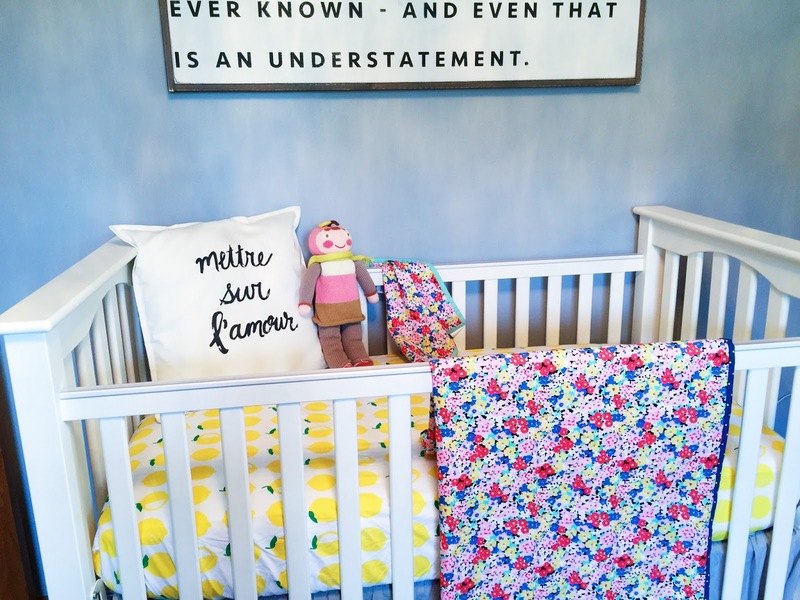 and I am obsessed with all things girly- florals are at the top of my list for baby items! This summer we spent a month in CA with my parents - taking my boys camping at the beach was my favorite memory. Lookig forward to our CA trip next summer with their baby sister! Awww, these little lovies are SO pretty!! I would love one for my babes on the way! My fav moment from this summer was the little road trip I took with my little man last weekend... we had a special just mama/little man trip to the beach before sissy arrives. It was so special!